Another happy surprise from my trip to the supermarket this morning (not my usual supermarket but temporary summer location on the Malaga coast) was this Beta Brut, the traditional method sparkling wine made by Barbadillo from palomino and chardonnay. I first tried this mixed with some cantaloupe in a faux Bellini ages ago at the start of a great night in Surtopia, and have often wondered if I would see it around. Now I have, and the timing is perfect (bubbles are always welcome after all). First the technical details. It has an absolutely cracking ficha on the web, specifying the pagos from which the fruit has come (the classic Barbadillo pagos of Gibalbin and Santa Lucia), the date of harvest, levels of acidity and sugars, even the type of pruning the vines have undergone. I love the way the ficha also explains the stemware you should use and even how to pour it – they are clearly preparing to blaze a trail through a market segment not accustomed to sparkling wine. Curiously, however, it doesn’t mention the amount of chardonnay relative to the palomino. Nice colour to it – straw gold with just a hint of green. Not a big nose to it – typical palomino apple and herbal aromas there. On the palate it has a nice crispness – not a lot of acidity but good carbonic bite to it. Sweet creamy start and a bitter finish that makes it seem drier than it it is. 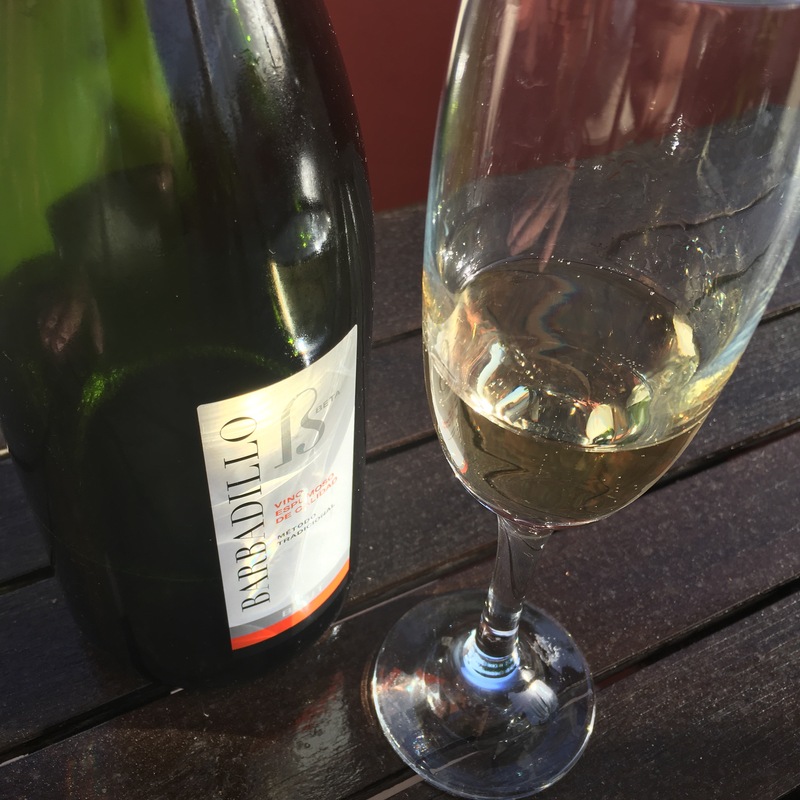 Great stuff – fresh crisp and creamy bubbles.